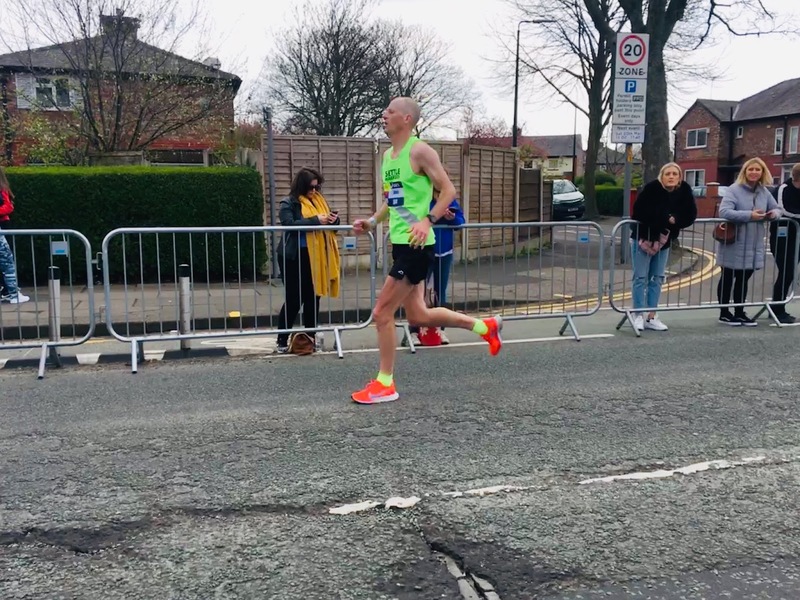 Another year, another Manchester marathon, another perfect day with perfect cool, still, cloudy weather and perfect organisation, another PB, shaving 89 seconds off the time I managed last year. A lengthier blog is posted here for those who are interested in these things. It was a good run for me and although I did dream of 2:45 (and set off aiming for that time) I wasn't quite up to it in the end. Finished 3rd in the V50 category (out of about 800 or so) which was a little stronger than in previous years as the event is growing in size and reputation so the field is strengthening. I was actually more than 40 places lower in 167th place overall despite the faster time. Soon: off to Stockholm to finish off some work we've been very lackadaisical over for the past couple of years. That will be worth some blog posts when it's done. Hopefully we'll still be in the EU or else the travel might be...interesting. Oh, this marathon result means one of my predictions has failed. Well, I only gave myself a 60% chance, so this was only a marginally less favoured outcome. The remaining 5 all seem well on track. ...6 minutes and 23 seconds per mile. *low whistle*. As someone who's never run a 6:23 mile at all, much less 26+ of those in a row, color me impressed. I'm doing my first 10k in a few weeks, and I'll be happy with any time under an hour. Good on you! You'll get it next time! Well done. My less exciting adventures are (now) at https://wmconnolley.blogspot.com/2019/04/rotterdam-man-2019.html.